Throughout most of his career, Elvis generously gave of his time, talent, and money to support various charitable causes. His generosity in this area has been noted by his biographers, but not given the level of recognition it deserves. Let’s try, then, as well as can be done in this limited space, to highlight and celebrate how Elvis shared the bounty of his life with those far less fortunate. Elvis felt especially charitable during the Christmas season. It started as early as December 1957, when he donated $1,050 so that all students at his alma mater, Humes High School, could attend the annual E. H. Crump Memorial Football Game for the Blind in Memphis. After Elvis returned home from the army, he started an annual holiday season custom of contributing funds to Memphis charities. 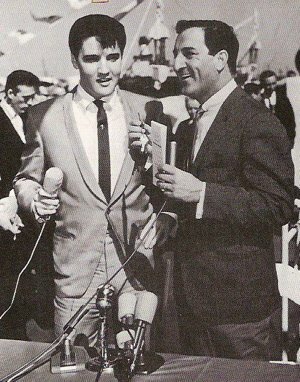 In November 1962, Elvis presented Memphis Mayor Loeb with a $50,000 donation to a combination of Memphis charities. A few days before Christmas in 1963, Elvis was back in the mayor’s office, this time handing over a check for $55,000 to be distributed among 58 local charities. Elvis donated similar amounts to Memphis charities at year’s end in both 1964 and 1965. By 1966, his generosity to the needy in his hometown had doubled to over $100,00. The following religious season, Elvis pledged $10,500 to the Memphis Jewish Community Center Building Fund. In recognition of Elvis’s many charitable contributions to the city, both Memphis Mayor William Ingram and Tennessee Governor Buford Ellington declared October 29, 1967, “Elvis Presley Day” in the city and state. Early in his career, Elvis came forward to support the March of Dimes, a foundation seeking to find a cure for children’s polio. In this cause, Elvis gave his time and image to encourage the public to support the charity. On October 28, 1956, before appearing on The Ed Sullivan Show that evening, Elvis was inoculated with the new Salk polio vaccine and recorded a public service announcement for the March of Dimes. In January 1958, Elvis posed for photographs at Graceland with March of Dimes poster girl, eight-year-old Mary Kosloski, and while in the army in January 1959 he again appeared in publicity shots with that year’s March of Dimes poster child. Later that year, Elvis continued his support of the organization by publicly receiving a polio booster shot. Undoubtedly the most publicized of Elvis’s charitable efforts were the benefit concerts he performed throughout his career. His first such show came on July 4, 1956, at Memphis’s Russwood Park. Over 14,000 tickets were sold, with all proceeds going to The Cynthia Milk Fund and the Variety Club’s Home for Convalescent Children. Elvis’s next benefit concert was in Tupelo, Mississippi, on September 27, 1957. After expenses, all proceeds, which amounted to over $14,000, went toward the construction of a youth center in Tupelo. There were two more benefit shows during Presley’s concert years in the seventies. Elvis’s 1973 worldwide satellite concert at Honolulu’s International Convention Center on January 13-14 benefited the Kui Lee Cancer Fund. No admission was charged but those attending donated over $75,000 to the cancer fund. Finally, on May 5, 1975, Elvis gave a charity concert in Jackson, Mississippi, to benefit victims of a McComb, Mississippi, tornado. After the concert, Elvis presented a check for more than $100,000 to Governor Bill Waller. One of Elvis’s favorite charities was St. Jude’s Hospital for children in Memphis. 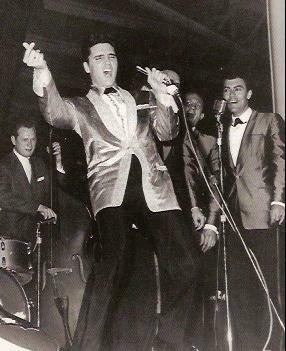 In June 1957, Elvis appeared on stage with hospital benefactor Danny Thomas at the “Shower of Stars” benefit show at Russwood Park in Memphis. Then, in 1964 Elvis purchased Franklin Roosevelt’s yacht, the Potomac, for $55,000 and presented it to Danny Thomas to be auctioned off, with benefits going to St. Jude’s Hospital. Scattered throughout Elvis’s career were many other charitable acts, which received little, if any, press coverage at the time. On November 5, 1956, Elvis made a non-performance appearance in Memphis supporting a new driver-education program, and on September 20, 1957, he appeared on Memphis TV to support the same cause. On December 12, 1956, Elvis donated toys to a Marine Corps drive for underprivileged children. The following April he was the first contributor to “Coffee Day for Crippled Children,” a Memphis charity. While in the army in January 1959, Elvis joined fellow soldiers in donating blood to the German Red Cross. In 1965 Frank Sinatra and Barbara Stanwyck thanked Elvis in a special ceremony for his $50,000 donation to the “Motion Picture Relief Fund,” and in 1970 Elvis contributed $7,000 to the Los Angeles Police community relations program. And in May 1971, Elvis gave flowers for Mother's Day to all female employees at the International Hotel in Las Vegas. Finally, Elvis twice made unusual contributions to the Memphis Zoo. In June 1957 he shipped to the zoo a wallaby he had received as a gift from Australia. Five years later Presley fans in Australia sent him another wallaby, which he also gifted to the Memphis Zoo. 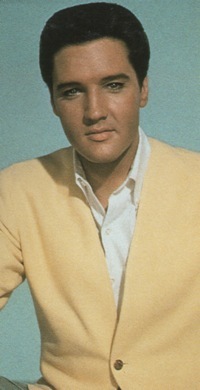 Like Elvis, many entertainers make time in their busy schedules to attend or perform at charitable events. While others may prefer spending their free time partying on luxury yacht charters or taking other exotic yacht vacations, stars with a conscience want to give back to their communities, and use their celebrity to make the world a better place. "Early in his career, Elvis came forward to support the March of Dimes, a foundation seeking to find a cure for children’s polio."